March | 2013 | What's New at Rainnea Ltd.
“The wedding bands on our fingers are far more than pieces of jewellery. They a part of us and represent our values in life and the journey my fiancée and I made to become man and wife. 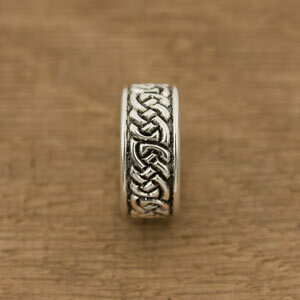 We discovered Rainnea when we did an internet search for custom made rings and fell in love with their work. There was no compromise and we knew we would be designing our rings with Rab and Tanya. A trip north only strengthened this conviction and we were encouraged to describe ourselves and sketch out design ideas. From many ideas came the important few and Rab took our words, hopes and feelings and created unique designs which were amazing. I particularly appreciated discussing my concerns when i doubted my initial plan and Rab again listened, then altered the design to something more perfect than i could have imagined. Our rings are truly unique and represent only us; mountains, the stars and the sea for my husband and a central Celtic heart knot with the wave themed echoed in a band for mine. We drove north again to help colour our rings which was exquisite and we took great pleasure in showing them off finally on our wedding day. They mean the world to us and we wouldn’t have changed a single thing about the whole experience. Our daughters also proudly wear individually unique charms that Rab and Tanya designed with us, cut from the same bar of titanium as our rings. 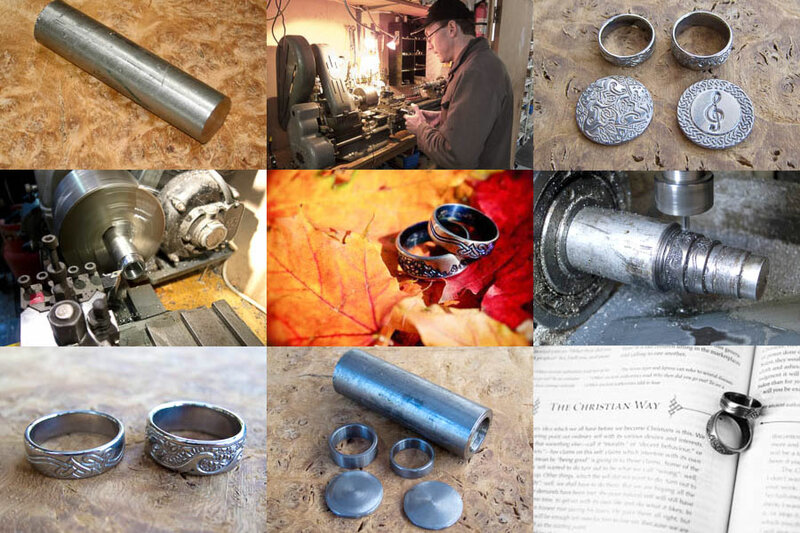 A magical experience that I would recommend to any who want a truly personal ring, made and designed with love, in a beautiful place by lovely people. We made this bespoke pendant for Karen with a Celtic knotwork border design to match her ring that we had previously made for her. 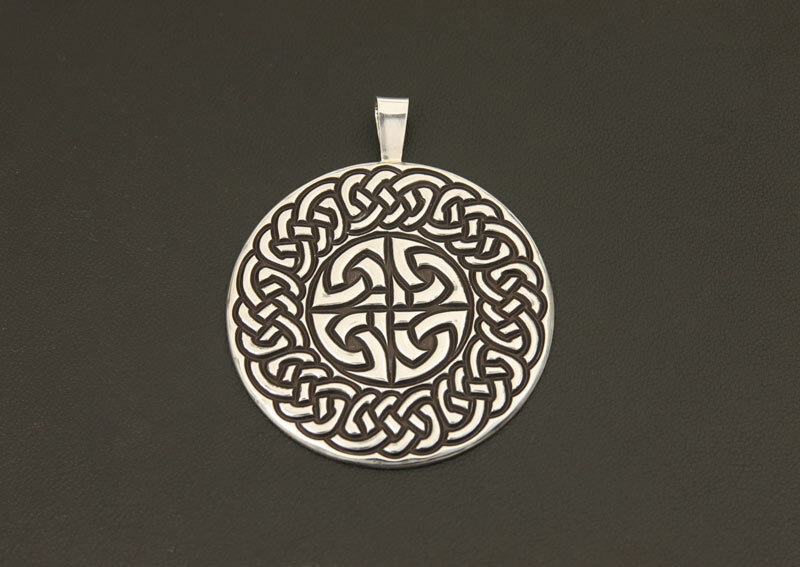 The pendant is 2” in diameter and is made in Sterling Silver.